How to pay less tax – HMRC now fine you £10 per day if your tax return is more than 3 months late – should you be worried? Small business owners or anyone who needs to file a personal tax return may be aware that there are penalties imposed by HMRC for late filing. But did you know that from this year these penalties have increased dramatically. In the past, if you failed to file your tax return, you automatically received a £100 fine. From April 6th, the rules have changed. You still receive your £100 fine, but in addition, if your return is three months late, you now start to receive a fine of £10 per day for every day until you file your return. If you still haven’t filed your tax return after 6 months, then additional fines begin to accrue. These take the form of an automatic £300 fine or 5% of the tax due – whichever is the greatest. Where the return is more than 12 months late a penalty is imposed which is based on a percentage of the tax due and the reason for the delay. The maximum percentage which can be levied is 100% if the delay is deliberate and concealed, 70% where it is deliberate but not concealed and 5% where the delay is for any other reason. So if you leave it to 12 months, another minimum fine of £300 or a minimum 5% of the tax due. If you are 12 months late filing your return, this adds up to a minimum fine of £1,600. These charges can seem really harsh as they even apply to people who owe nothing, and even those who are owed a refund by HMRC! 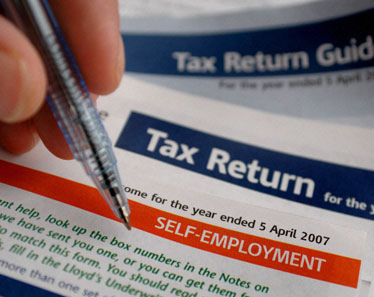 So, don’t delay and get your tax returns submitted in good time – If in doubt, consult your accountant. The role of the Financial Systems Manager has become very diverse as technology evolves. What are the new trends ahead in 2012? I recently took part in an on line debate for Finance systems managers that began with this question. 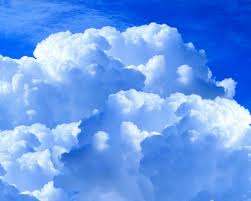 Most of the views seemed to revolve around cloud based computing, but I came up with a couple of others and thought I would share on my blog… here are my views as at May 2012. For 2012, the cloud versus premise decision will be a big driver for larger organizations and is with us already. With major software houses such as SAP and Oracle very publicly changing their selling model from selling purchased software with annual maintenance fees (premise based) systems to selling hosted versions of their “new” software (there must be something in it for them financially to make this switch? )… then the role of the finance systems manager tied to these vendors will very much be one of contract management, SLEs, fees monitoring and potential legal issues if these run into trouble. 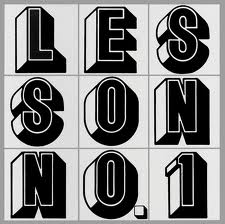 The themes I anticipate for 2012 will remain greater system integration, business intelligence and cost reduction. Speaking from the financial services sector (insurance), compliance and regulation such as Solvency 2 will become an even greater driver of our profession and the systems and audit that will be required to support this. – The challenge of embracing and controlling mobile computing is already with us although many organizations have yet to address this. This may be especially relevant to those finance systems managers working in practice as their customers want to use mobile computing. – The new trends in social computing that become normal very quickly and impact our business operations and thus our accounting ( eg – facebook, groupon, twitter, youtube, etc ). Inevitably, there will be a new “facebook” or “groupon” that will come along and be the new big thing. A lot of businesses need to monitor and join these new innovations and the finance function and systems must support this in evaluating these trends and technologies and converting these ideas into business cases with real costs and potential income streams. Looking further ahead beyond 2012…. A few predictions? – RFID (Radio Frequency Identification Tags) are already being deployed in the form of sensors for all sorts of things and will eventually become common – eg – sensors on car components to tell you if they are like to fail. These will find their way into all sorts of things (supermarkets, bridges, buildings, people!) and this will have a knock on effect on the back office and finance systems that support them (eg – billing, cost control, financial analysis ). Financial analysts and the systems they work with embrace this technology in evaluating trends, business opportunities and cost analysis. – Moores law for processing power and network band width increases are generating greater opportunities for large scale data flows and data processing/data mining which could not previously be performed. This will increase as more data is collected and stored. Moores law has been criticised recently, saying that this level of increase cannot go on forever, but we have heard this sort of comment many times before and it has always proven to be wrong. – With the development of wireless, internet, cellular telephony, TV, Radio (predicted in some quarters to merge into one wireless medium with far greater bandwidth than currently available), this may generate changes in personal and mobile computing. This may result in changes to the way invoicing and payments for goods and services are handled for most businesses. Again, the finance function and finance systems will need to support this change. Some of this has begun already (eg oyster cards). Any other predictions? 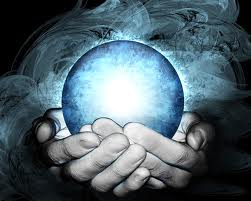 What do you see in your crystal ball? If you are a UK tax payer on a low income, you might not have to pay any tax at all, but if you are a standard or higher rate tax payer, you will have to pay tax on both your salary and any interest you receive from your savings accounts. But, there savings and investment schemes available to UK tax payers that can generate a tax free return. These are known as Individual Savings Accounts or ISA’s. Question – Why should you set up an ISA? Answer – You don’t pay tax on the interest or dividends you receive from an ISA and any profits from investments are free of capital gains tax. If that sounds good, read on. There are two potential elements to an ISA – a Cash ISA and a Stocks and Shares ISA. A cash ISA behaves like a deposit in a bank or building society, but without any tax. This is considered a very safe investment with low risk, although interest rates are currently very low. The maximum that can be put into a cash ISA is £5,640 for 2012-13 tax tear. 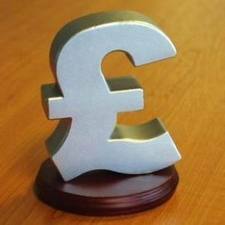 The maximum amount that can be put into a stocks and shares ISA is £11,280 for the 2012-13 tax year. If you are a higher rate tax payer, you will save 40% on any savings interest sheltered within an ISA. 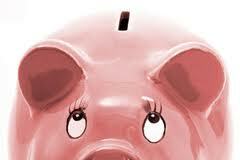 If you are a basic rate tax payer, you will save 20% on any savings interest sheltered within an ISA. If you pay the ‘saving rate’ of tax for savings, you will save 10% on any savings interest sheltered within an ISA. If you make gains of more than £10,600 from the sales of shares in a given year, you would normally have to pay capital gains tax on the amount of gain above £10,600. There would be no tax to pay if these gains where sheltered within an ISA. Question – What are the downsides of an ISA? Answer – There are few downsides to an ISA. The main one is that losses on an ISA investment (in Stocks and shares) cannot be used to offset capital gains tax on investments held outside an ISA. The Essex accountant, bookkeeper service and tax return specialists dedicated to helping you get your financial house in order and keeping it that way. We specialise in being an accountant for small business, helping small business owners keep tax bills to a minimum, maximise profits and ensure you meet every statutory deadline without any headaches. How to know when shares in a company are a good buy? What to look for when reviewing a stock chart. In the world of investing, there are no guarantees, but by reading stock charts and historical patterns, you can maximise your probabilities of making a good return on your investment, whilst keeping risk under control. Here are a few tips to bear in mind when you are considering investing in some shares. 1 – Are the shares in an uptrend? To check if a stock is in an uptrend, we need to review a stock chart. The most important thing to look for is a stock that is trending steadily higher, though not exploding. – The ideal stock chart should be steadily rising at a 30 to 45 degree angle – i.e. – moving up slowly and gently. – You probably would not want to buy a stock that is either flat or going down. But what about a stock chart that shows the share price is exploding upwards at say a 60 degree angle? Greed may tell you this is a great buy and you should jump on the bandwagon quick as it is skyrocketing! However, many times a price crash will follow a parabolic rise, so jump on the bandwagon at your own risk. Look for a calm, comfortable rising uptrend in price if you want to remain a calm, comfortable investor. 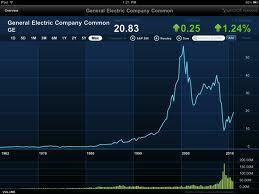 Stock prices that are very jumpy are often referred to as being “volatile”. Small jumps either up or down are perfectly normal and acceptable, but share prices that spike up and down wildly are best to be avoided. Ideally, look for stability, not volatility. People who carefully study stock charts before making investment decisions (known as chartists) also like to view the volume of shares traded in conjunction with the price movements. If you look at a typical stock chart, as well as the price section (usually presented by a line chart), there is often a volume section underneath (presented as a bar chart). The higher the bar, the higher the volume of shares traded. The ideal picture is steadily rising volume, combined with a steadily rising price. If the stock price is rising, but the volume is decreasing, this should be considered a warning sign that a fall may be on its way as people are becoming less interested in owning the stock. The worst case scenario is an increasing volume trend combined with a decreasing price. This clearly shows that more people do not want to own the share and are selling as the price declines. Steer well clear of this one. A moving average chart plots the average price of a stock over a given period of time. This period of time can vary, but the most commonly used are the 50 day and 200 day moving averages. Typically, the moving average is plotted on a chart combined with the share price. The ideal to look for is a moving average that is trending upwards AND a price that is also trending upwards and above the moving average. These 4 tips will not guarantee success in investing, but they are a useful technique to help filter out stocks and shares that you should not buy. If followed, you will avoid investing in shares that are in a downtrend or experience major volatility. Disclaimer – This article is for education purposes only and is not intended as a recommendation to buy or sell any security. The author may hold positions referred to in this article. Please perform your own research or contact a qualified financial adviser prior to making any investment decisions. Owners and managers of small businesses often have to be a jack of all trades when it comes to running their own business. They need to be experts in their core business of course, be that web design, plumbing, baking, childcare or anything else. But they also need to turn their hand to marketing, administration, sales negotiation and staff recruitment. Another area where a basic understanding will greatly benefit any small business owner or manager is accounting and tax. Of course, many business owners wisely trust their accounting, tax and vat returns to a suitably qualified accountant such as Transform Accounting. Transform Accounting takes pride in working with clients whatever their level or desire for understanding financial statements and always take the time to explain financial matters in plain English. We think it is important to offer a service where we are always available to explain any financial matters that arise during the year. A business owner or anyone who is thinking of starting a business who doesn’t understand the primary financial statements is like an airline pilot who doesn’t understand the instrument readouts in the cockpit. He could run the business and land the plane safely, but knowing how to read the vital signs along the way will help his business flourish. The starting point for anyone wanting to understand more about accounts would be the three primary financial statements – the Balance Sheet, The Profit and Loss account and the Cash Flow statement. Balance Sheet – A summary of the financial position of the business at a certain period of time. In plain English, this is a summary of the assets that you own, money that is owed to you, money that you owe to other people and the cash you have in the bank (or overdraft with the bank). Profit and Loss account – A summary of income and expenditure over a given time period. Cash flow statement– A summary of cash inflows and cash outflows for a given period. This report can tell the owners of a business how the cash position is developing which can be very useful in the management of a business. By the way – “The bottom line” is found in the Profit and Loss account, not the balance sheet! In future blogs, we will go into more detail regarding each of these statements.